The crisis unfolding in the Mediterreanean island nation of Cyprus might also affect Indian firms that set up investment entities there to take advantage of the country’s loose banking regulations. Several Indian companies in the infrastructure and real estate sectors set up subsidiaries in Cyprus as it is by far the most beneficial location in terms of Double Tax Treaty Comparison, as there is no dividend withholding on payments from Cyprus to India and from India to Cyprus, according to Cyprus and India laws. An Indian company has to pay a dividend distribution tax but a company based in Cyprus receiving dividends is tax-free. Also, there is no interest withholding tax on payments made from Cyprus to India. However, with the Cypriot government recently considering the imposition of a tax on bank deposits, most Indian companies claim they might have to pull out, as a country intending to be a tax haven cannot do this. Today, shares of Network18 Media and Investments fell 4.5 per cent and TV18 Broadcast fell seven per cent, as the group has four subsidiaries based in Cyprus. The four subsidiaries include: Indian Films Company Cyrpus, TV18 HSN Holdings Limited (Cyprus), E18 Limited (Cyprus) and Namono Investments. Together, these companies hold $260,000 in Cyprus and if the Cypriot parliament decides to impose a tax on deposits, the group will have to pay tax on this amount. “The impact of this is minimal on the group, as the quantum of money in Cyprus bank accounts is limited. If the tax proposal goes through, it will impact investment firms located there,” Ramandeep Singh Bawa, CFO, Network18 Group told Business Standard. 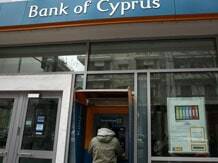 Subsidiaries of Indian companies in Cyprus can do little till Wednesday as banks will be shut till a decision is taken on the tax by Parliament. The crisis in Cyprus has been triggered after large amounts lent to Greek private and public sector firms turned bad. High write-offs have resulted in the banking system in Cyprus being under-capitalised. Several Indian companies in the infrastructure and real estate sectors set up subsidiaries in Cyprus as it is “by far the most beneficial location in terms of 'Double Tax Treaty Comparaison' as there is no dividend withholding on payments from Cyprus to India and from India to Cyprus", according to the 20-year-old tax treaty between India and Cyprus. An Indian company has to pay a dividend distribution tax but companies based in Cyprus receiving dividends is tax free. Also there is no interest withholding tax on payments made from Cyprus to India. However, after the recent development, most companies claim that the they may have to pull out of Cyprus as any country intending to be a tax haven be permitted to pass such a tax.